Retro Kitchen. Stove top cooking. No conventional oven. Includes microwave, toaster and coffee pot. 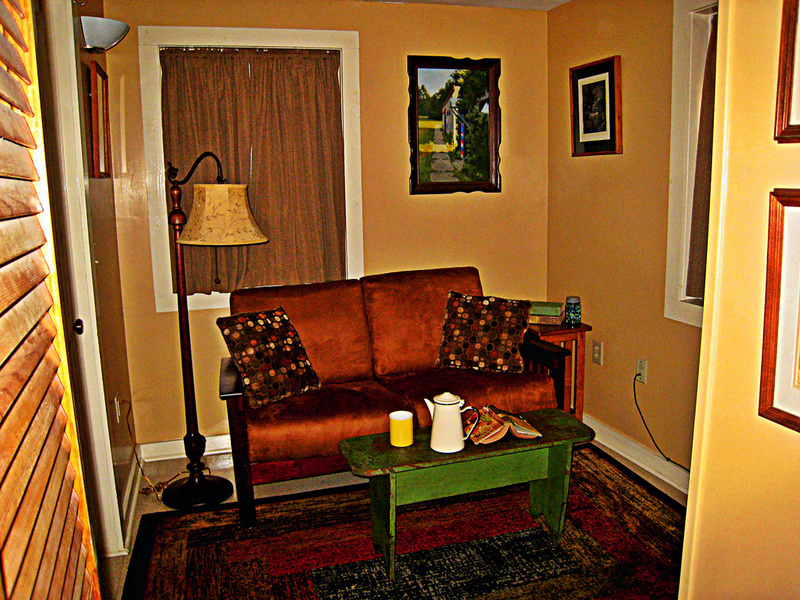 It also offers off-street parking and walking distance to downtown Eureka Springs. 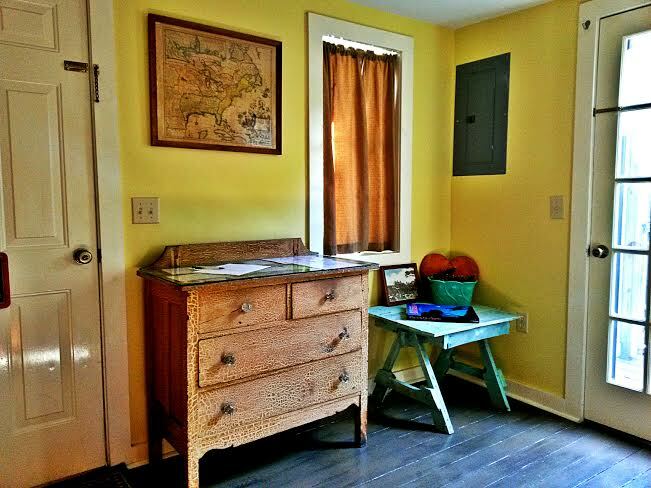 There are stairs to the bedroom so if you have knee/joint issues, we suggest you choose Wildflower Cottage instead. 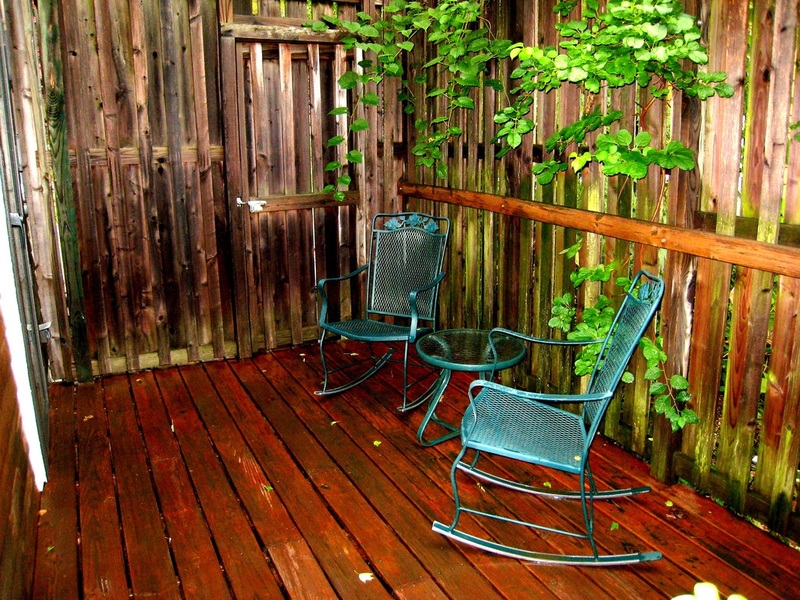 Private Hot Tub and close to Downtown. Redwood Cottage living area with gas log fireplace. Private Hot Tub just 2 steps from the Bathroom door. Jacobs Ladder. The Staircase to Downtown. Just a few yards from the Cottages.